London. Oh this city that we live and work in and love! We share a lot of amazing places in London over on our instagram account that we love, but we thought it might be a good idea to start sharing them with you in a little more detail over here on the blog. I feel that sometimes people forget about London as an actual destination spot for weddings and events. Clients will often start looking at English Countryside Manors or even locations throughout Europe or farther and forget about the amazing city that they live in, grew up in or maybe even got engaged in! 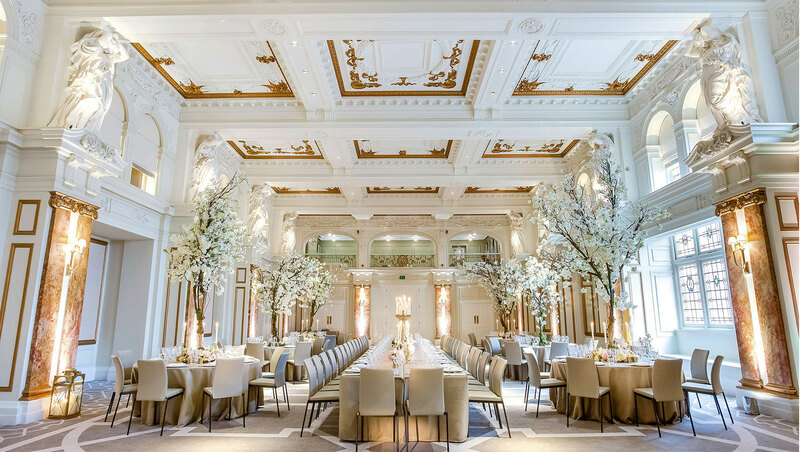 Now do not get me wrong, we LOVE these other areas, but being that we are located here in London, we do have a little bit of a special place in our heart for London venues and know that there are so many gems. 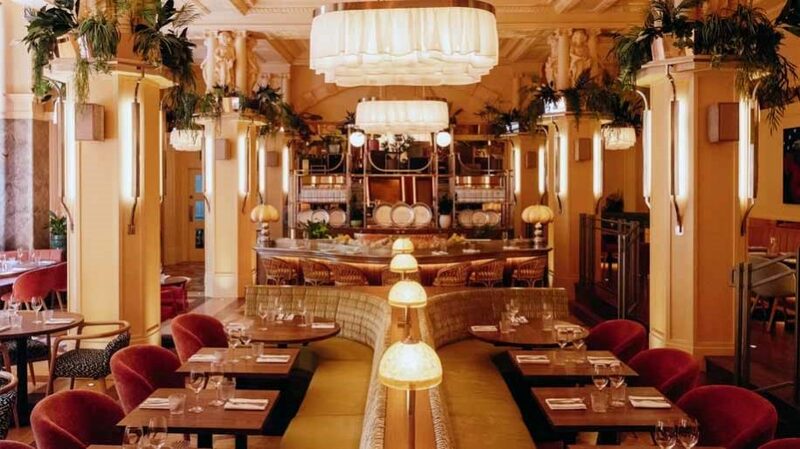 First up is the “new kid”on the block, the amazing Kimpton Fitzroy London. I visited this gorgeous property last week and honestly, well I can not stop thinking about so many reasons why I love it. 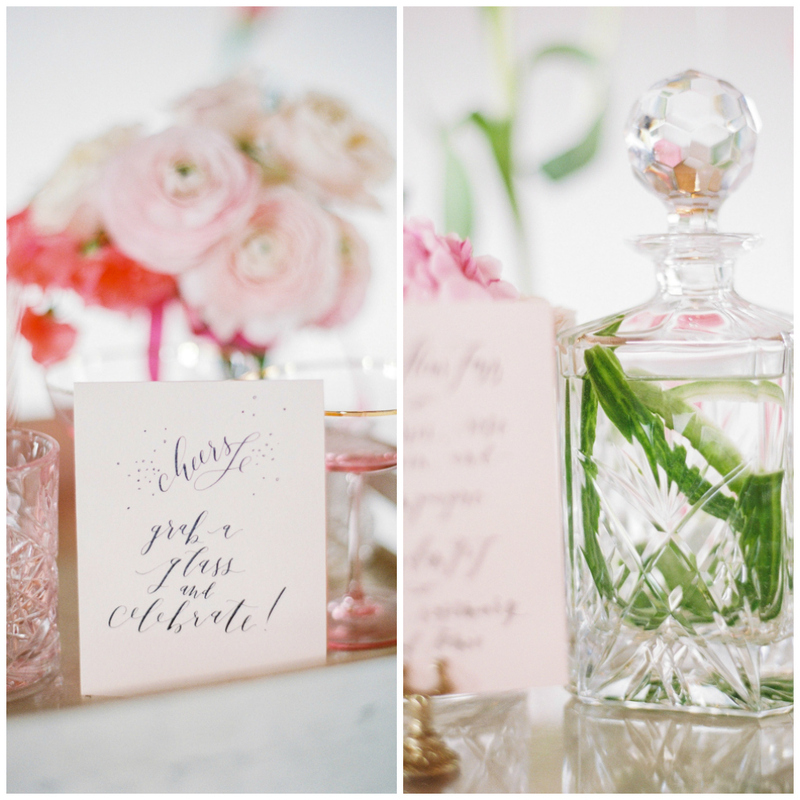 Continue reading for so many images and some of my top favourites of why to host an event here! Location: Russell Square, London. 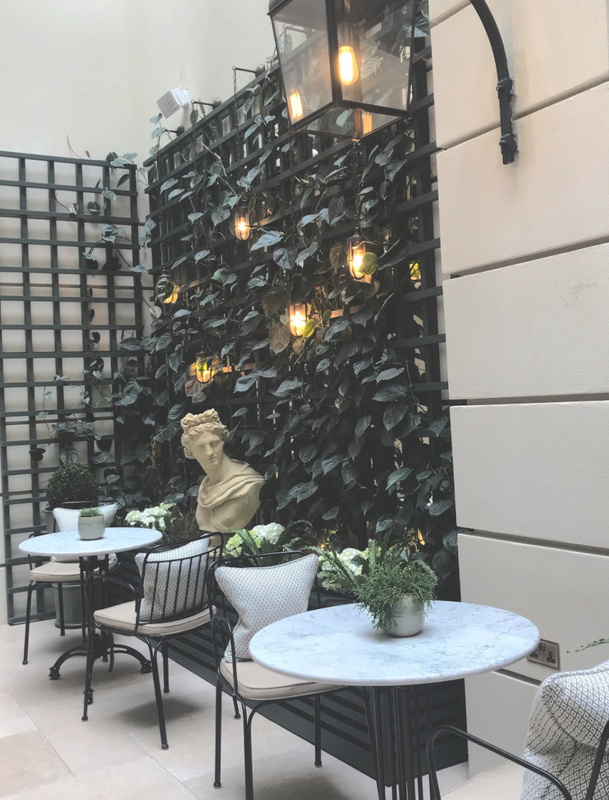 Located in Central London a few minutes walk from Russell Square underground station makes it simple for guests to find and explore the city. Located in the Bloomsbury area of London there are many museums and restaurants surrounding the hotel area. A perfect central London spot! Maximum Guest Capacity: You can fit a maximum of 200 guests in the ballroom which is pretty lovely! 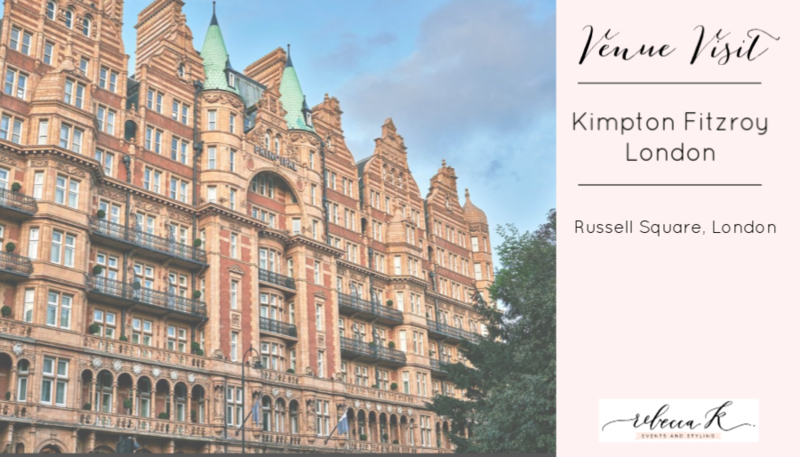 The Kimpton Fitzroy London dates back to 1898. 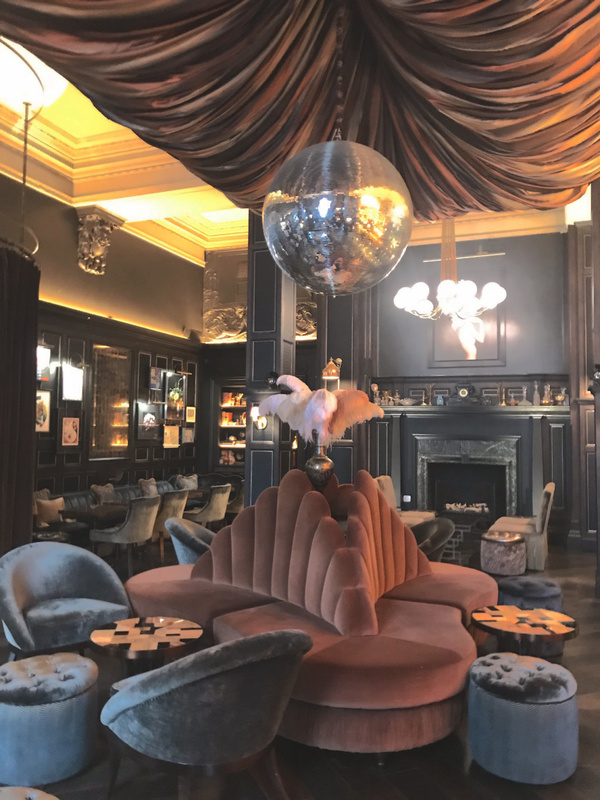 After closing the hotel and finishing an £85 million renovation, the hotel opened as a Kimpton property in 2018. 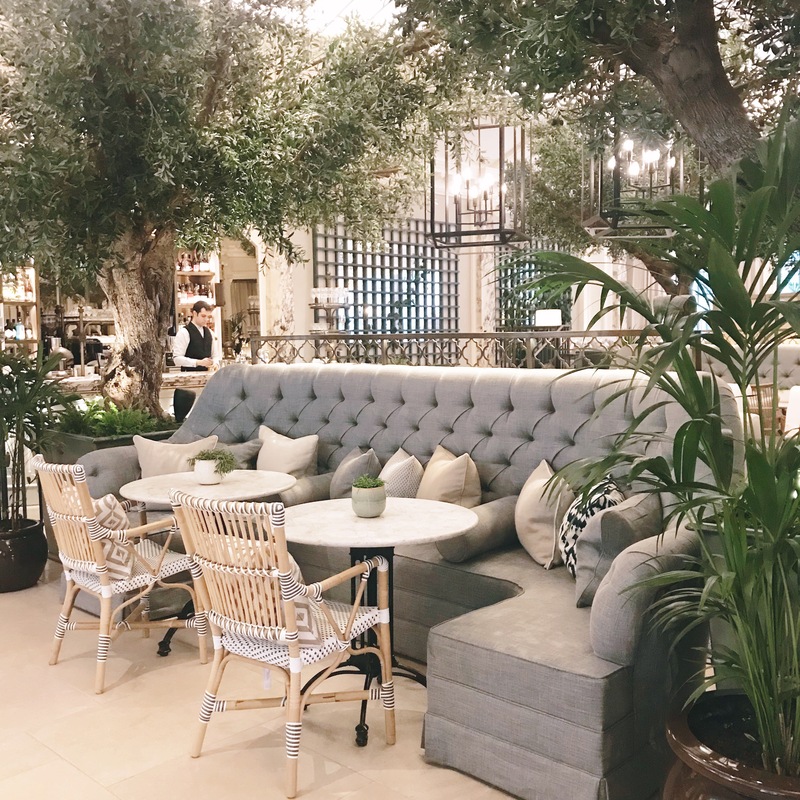 There are SO many amazing options to eat and drink in throughout the hotel and lets not forget the photo opportunity, it is full of amazing design oh and did I mention, the ballroom also has windows with natural daylight, that’s a HUGE deal! 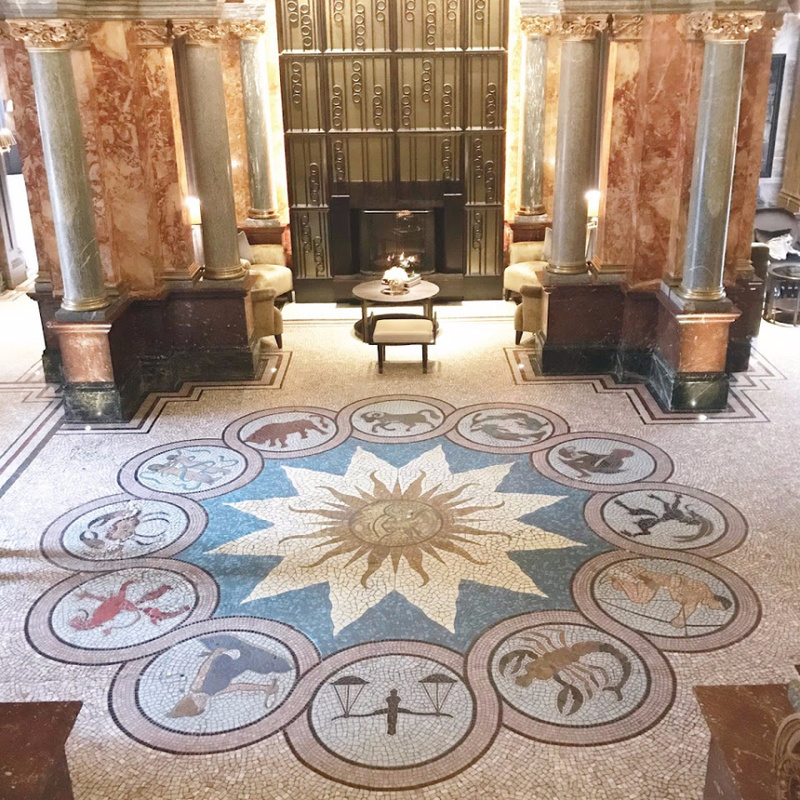 This mosaic astrology floor at the bottom of the main staircase is epic. What a gorgeous place to have photos taken! There are four amazing options onsite for drinks and dining that are all fabulous. You and your guests can dance the night away in the ballroom and then reserve an area at the awesome bar Fitz’s for a toast to the evening! The restaurant Neptune is such a stylish space for a modern wedding couple. Something a bit different but if you are looking for something interesting, a buy out of the space can be AMAZING in this setting! 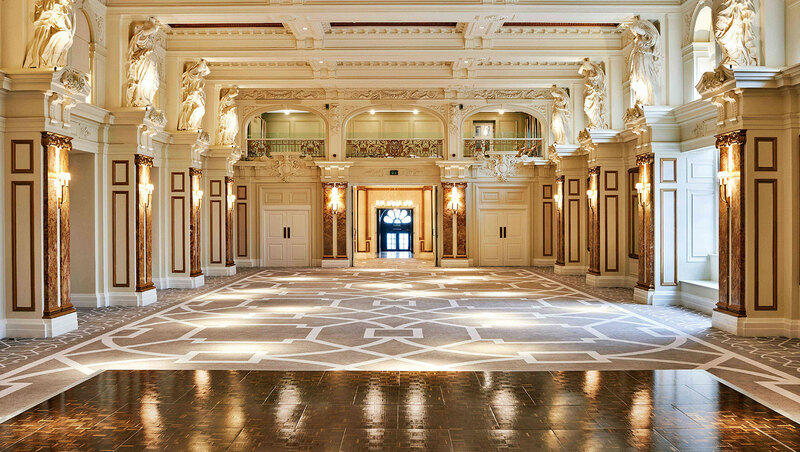 The Ballroom is grand but also its gorgeous and white. Why does that get us excited? Well, it allows so many different themes and designs to fit well in the space. High ceilings and natural light on one wall, the ballroom rocks. Palm Court. Ok, lets have every meeting in this space forever. How about a rehearsal dinner under the trees, or a post wedding brunch, sigh, you are inside, but you feel as if you are in a lovely garden! With so many different options in venues, we love that the reception spaces in this property are in a hotel! Your guests can dance the night away and wander upstairs to their beautiful newly renovated room without having to arrange transportation home. Did you enjoy this post? Pin it on your Pinterest board to remember the details! 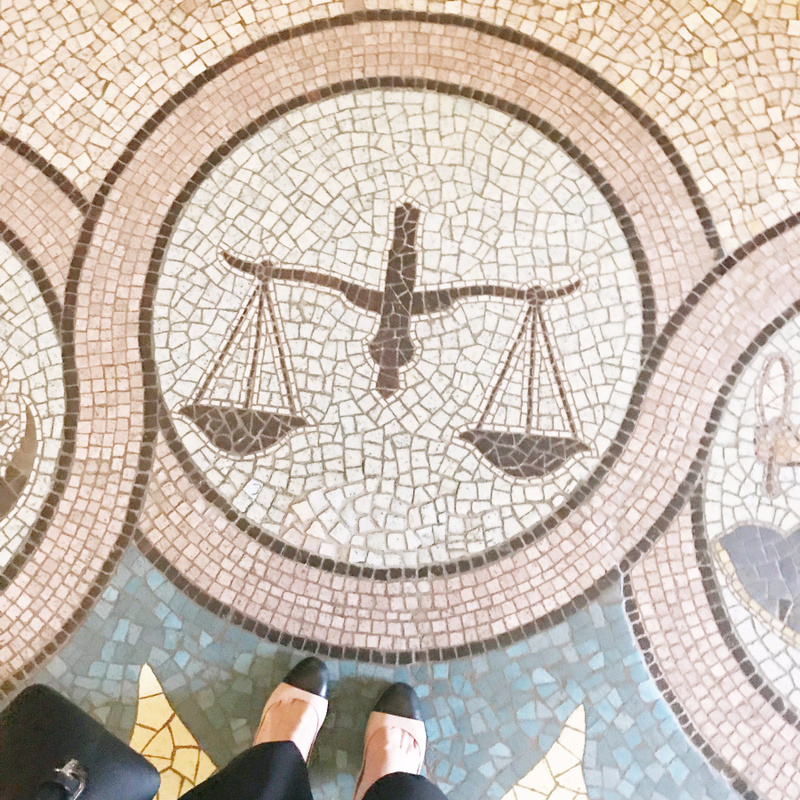 Being an American wedding planner living and working in London, I was obvisouly super excited around the Royal Wedding festivities this past month in the UK! I myself got married in London and when I moved here, there were certainly a few customs here that I was not familiar with back in the States. Weddings happening during breakfast, the groom facing the alter, where are all of the cocktails before dinner? 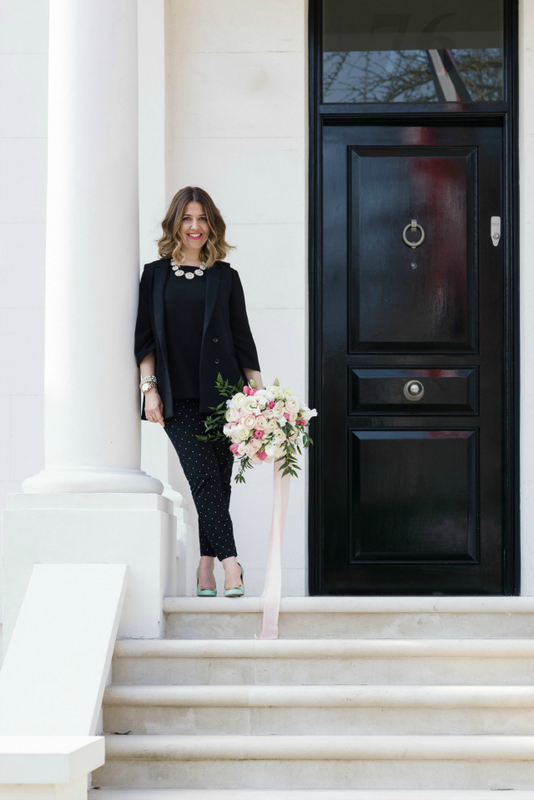 A few weeks back, I was asked by Forbes magazine on some of my thoughts on differences between US weddings vs. UK weddings. You can read the entire article HERE. Below are a few of my thoughts on a few of them. I wonder what Meghan thought about this, did she see the differences. Well, I mean, hers was a royal affair, so arriving to Windsor Castle was a different event all by itself! Are you an American bride getting married in the UK, I would LOVE to hear your thoughts if you have found some traditions different. Are you a UK bride that likes some of the American traditions? Get in touch, let me know! The biggest surprise for me about planning English weddings? The Evening Guests – I was really surprised at how common it was to have additional guests invited to the evening reception that were not invited to the ceremony OR the dinner. 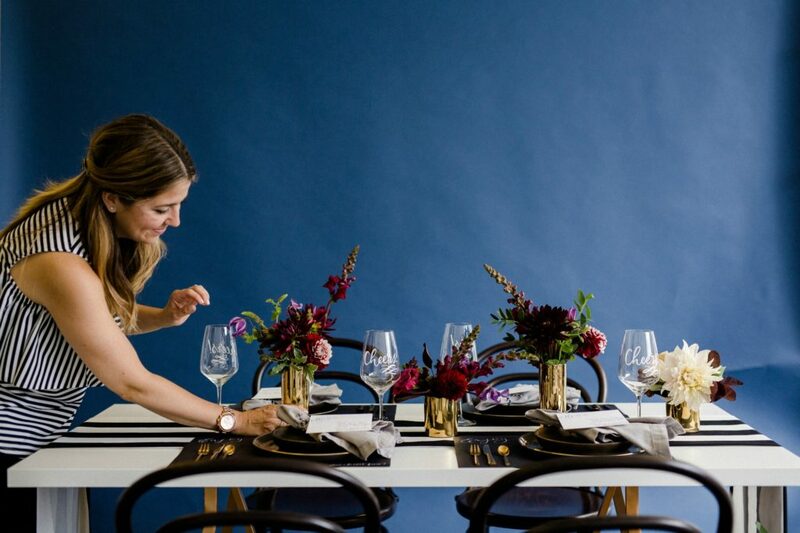 At first I thought this was only at if you were trying to stay on a strict budget but became surprised that a mix of couples have evening guests and will make that portion cash bar. I have come to learn that a lot of couple want to keep the ceremony and their main reception a bit more intimate with friends and family they have known for years and then in the evening, create more of a party feel with possibly newer friends from work or that they have met more recently, which is where the evening guests join. The Wedding “Package”- I find this more common here in the UK. I would describe my planning as very not package. I customise everything for my clients from the invites, the drinks, the furniture guests sit on, the waitstaffs uniforms, etc. so often I do not believe a package from caterer or venue will work. I found it quite common in the states that brides were looking to customise EVERYTHING. 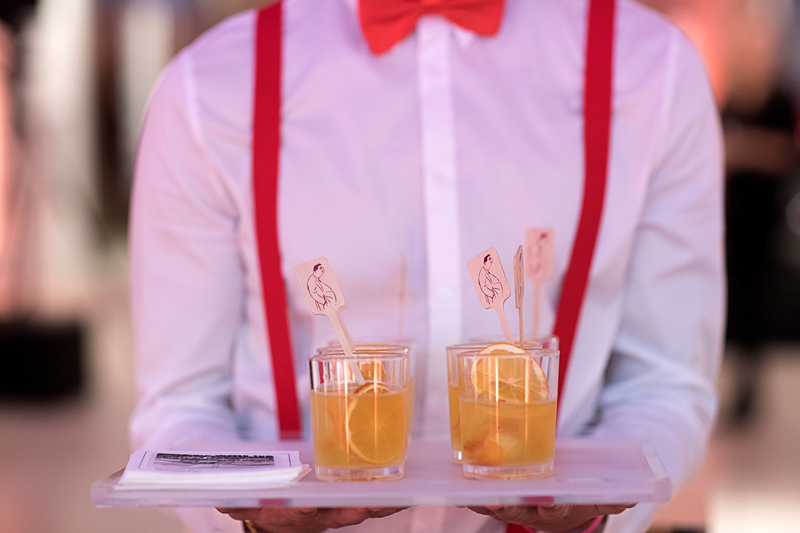 Name and personalise the drinks on arrival, create specialty table linen for the dinner, create a menu that included bespoke items from places they travelled together etc. This being said, the past six years I have been here in London, I do think that this is changing a lot in the UK and I have seen UK brides changing a lot. Maybe this is influenced by the blogs and magazines, but people are getting more and more unique and less of just what their sister did. No Speaking for the Ladies – The ladies often do not speak. When in the States it is quite common for both the maid of honour AND the best man to give a speech, here in the UK it is common for only the fathers and the best man to give a speech, sorry ladies. Often the speech is a bit more of a roast I have found then a sentimental speech, but it is always different really. I was so happy to hear that Meghan Markle have a short speech at their wedding. It was their day, if you want to, thank your guests for being part of the day and say a few words! Who Is Paying – It is very common for the Bride to pay for the bridal parties dresses unlike in the US, if that happens it is QUITE nice but not usually common. Drinks – My experience I have found is that in the States it is common to have cocktail hour before dinner and actual cocktails are served. 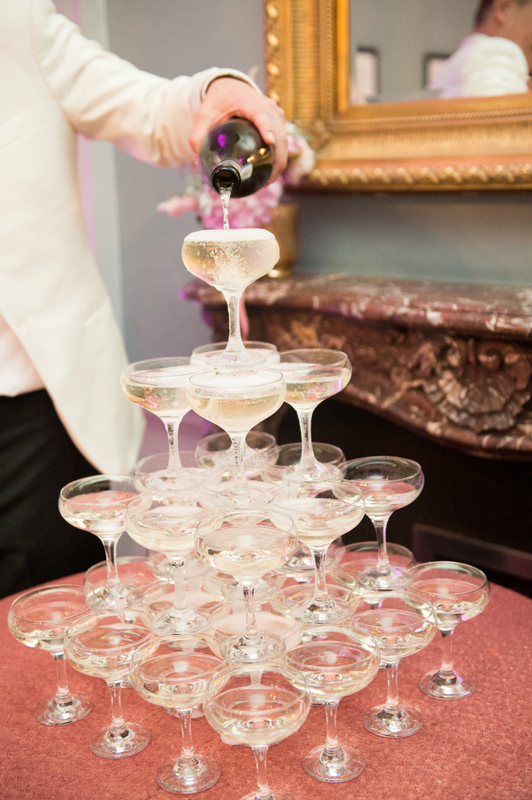 It is very popular and has become common over the years to serve a couple of themed drinks along with with wine and bubbly during the reception. In the UK I have found that usually it is only bubbly offered for the first hour, no wine or beer, just bubbly and non alcoholic. While it is changing I still see this to be the most common. This also goes with the post dinner reception/dancing, the bar is often wine and beer and sometimes a cash bar. In the US it is quite common for a couple to offer mixed drinks. Where You Can Get Married – In the US you can really have your wedding anywhere! You see a pretty field and want to have your wedding ceremony there, great. In the UK I was surprised on how strict the laws are about what area you can get married in and that it must be licensed. However, there are ways around this. A lot of couples will have a smaller ceremony at the registrars office and then say their vows in front of guests on their wedding day with a celebrant, this is a great way to say I Do with your nearest and dearest around. Hats – I LOVE that it is common in the UK for women to wear fascinators or hats to a wedding! The guests at the royal wedding embraced it in style and it was fabulous! 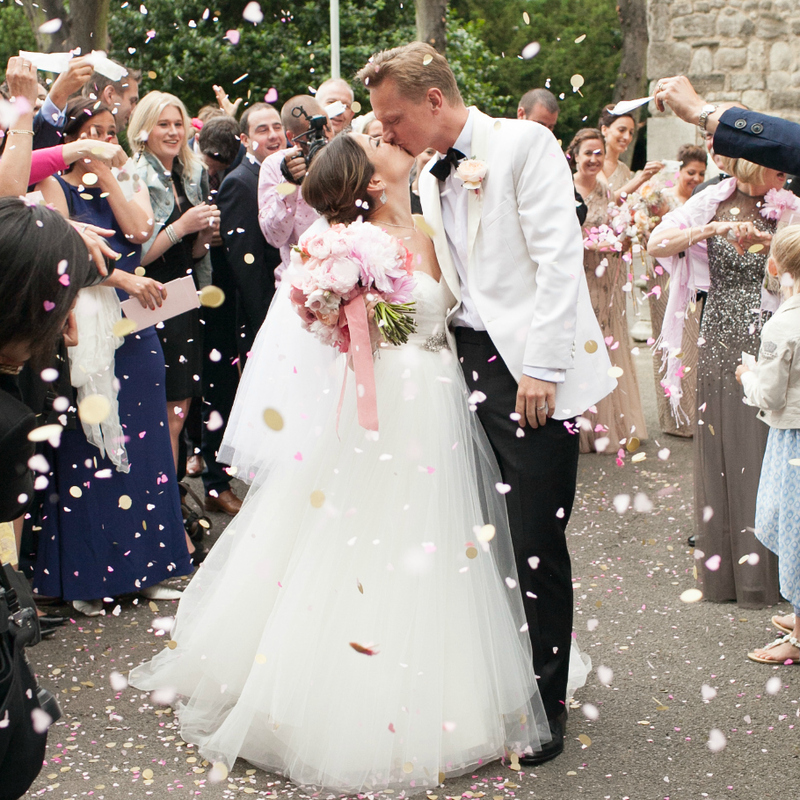 The Length of the Wedding – I think UK weddings tend to last longer and celebrate longer. It is common in the UK to have a ceremony at Noon or 1:00pm and party until 200am when in the US ceremonies sometimes do not start until 3pm or 4pm and the party will end at midnight. 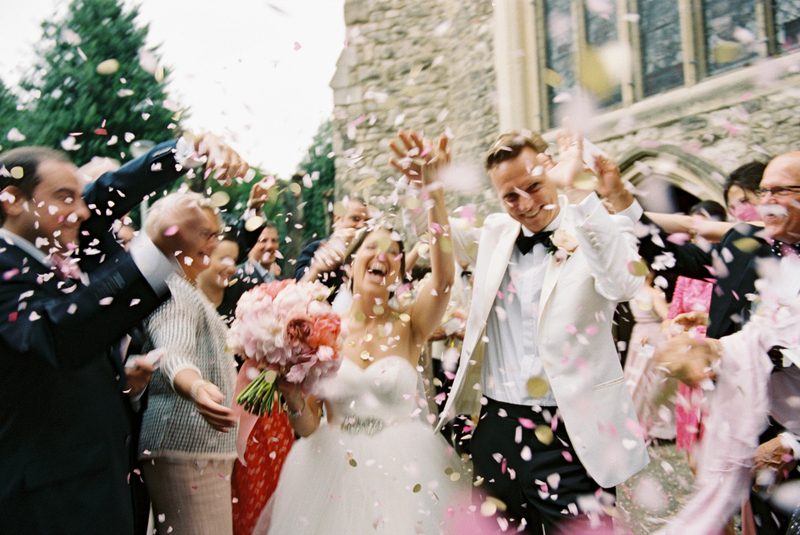 Confetti – LOVE that showering the newlyweds with confetti as they exit their ceremony is common in the UK. There are HUNDREDS of stores that specialise in selling only wedding confetti, crazy. However, I love this tradition! Garden Weddings – I do love when couples mention they are having their reception in their parents garden. As an American you picture a small cute garden, intimate and nice. It usually ends up being in a LARGE marquee in their parents huge back yard of their gorgeous English manor home. We love this! Wedding Breakfast. Wow, so many clients were requesting to have their reception during breakfast. A brunch reception, I thought that was the coolest idea to be so common. No. That was a new one for me. The term wedding breakfast can be used even if the meal is in the evening. The term actually comes from the meaning that the couple would be fasting before the wedding ceremony and the meal after was the first meal together and the first meal of their day, the Wedding Breakfast. 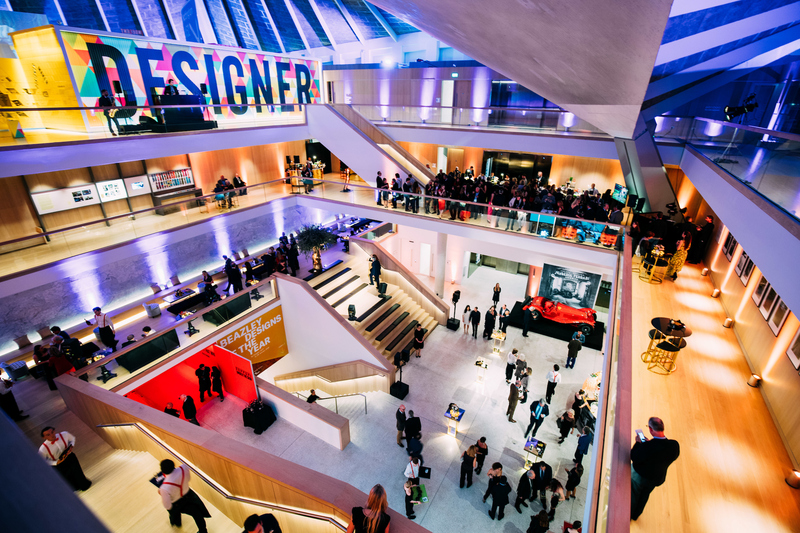 Last summer I received the brief from a client to plan and design an Italian, Dolce Vita, Ferrari themed, evening to remember at the Design Museum . Sounds fun right? It was! 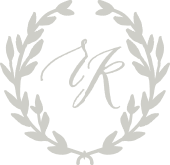 A lot of people think of Rebecca K. Events as a wedding planning only event business, but oh no, we plan so much more then that! This event was a fabulous evening to celebrate a private clients assistance with the opening of the Ferrari exhibition at the museum and truly a celebration of their friends, family and how important all of this was in their life. The theme was not to be all full of red and cars, but more of a festive evening honouring the history of the Ferrari company and family that my client has spent years researching. With that included the love of Italian music, Italian food, Italian drinks and well, I think we got it right! The look was glamorous and we incorporated a touch of red into the main colour scheme of golds, black and white. 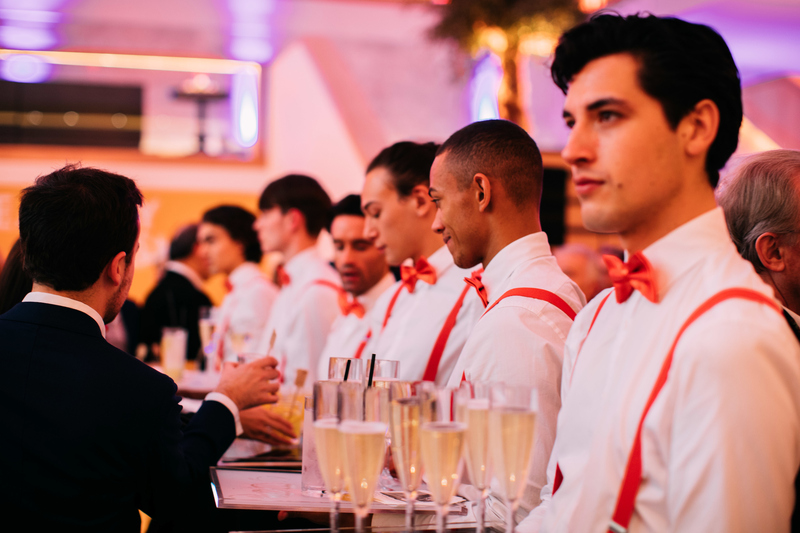 We added a little party attire to the handsome waitstaff with red bow ties and suspenders serving Bianco Negronis and glasses of Prosecco throughout the evening. We had a sketch of Mr. Ferrari himself printed in gold foil on cocktail stirrers and the napkins throughout the evening had racing quotes and black and white images from clients archives. The little touches were great conversation pieces throughout the evening and some guests even saved them as souvenirs ! Congratulations! We are so excited to hear that you are engaged! 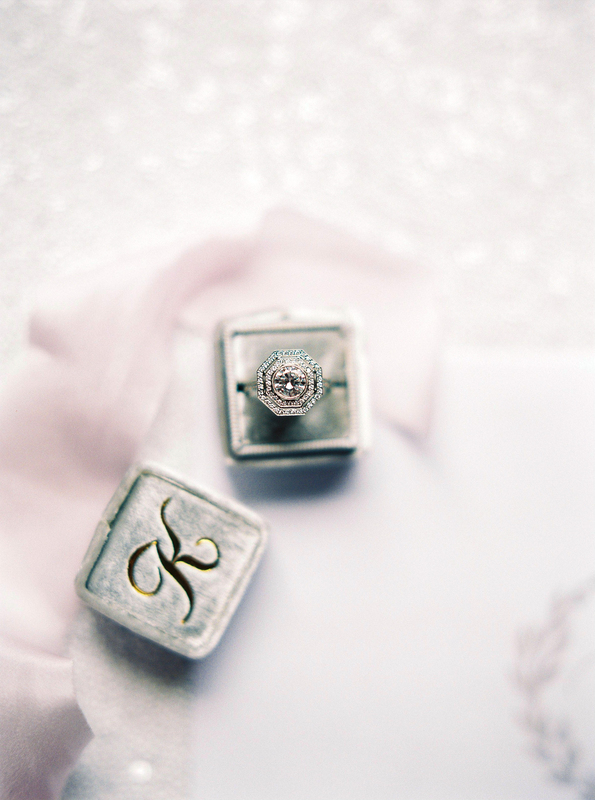 Your love popped the question and you said yes and now you are ready to start planning your big day! As London based event planners, this time of year is one of our favourites, when couples get engaged over Christmas and New Years and start planning their weddings. Before you jump onto Pinterest and start booking wedding dress appointments, take a step back and enjoy this time. Here are the top EIGHT things that we recommend you do before worrying about the colour of the table linen. Forget that it is January and so many friends of yours are doing a dry January, fill up your glass with bubbly and celebrate! Being engaged is such a special time for you and your fiancé and you should enjoy it. Once you are ready to dive into planning the big occasion, we suggest starting with these items. The fun dress shopping and cake tastings will get there, we promise! There are a lot of things to factor while planning your wedding. You need to decide where to get married, maybe you both live in a city but are actually from different countries. What type of ceremony do you want; church, town hall, an officiant in your parents garden? Is having a band a deal breaker vs. having a dj? Do you want to have a dance theme party reception for one evening and go all out or would you rather invite a smaller group of guests to a country home and have a weekend full of activities. 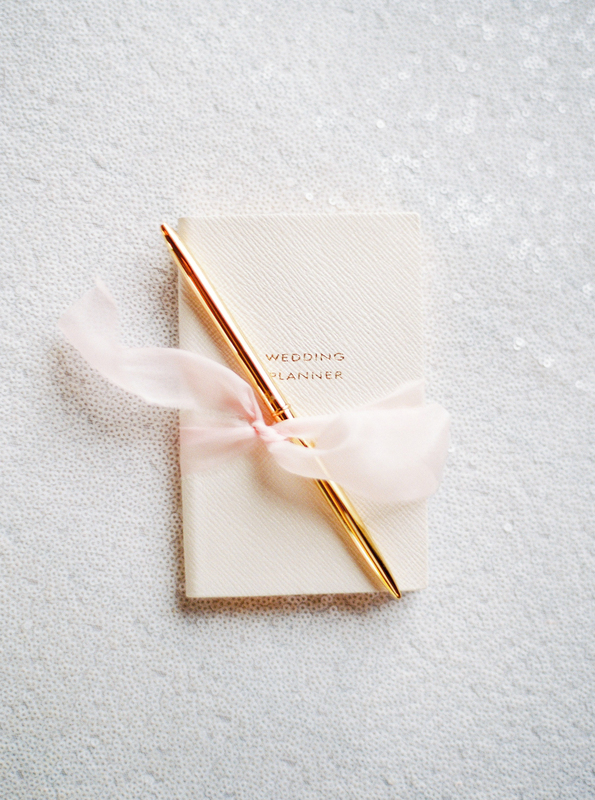 Take a little time for each of you to separately write down what your priorities are for your wedding day and from there it can create an outline of the wedding you want to plan. The guest list. There are often a lot of factors in the guest list. You have parents friends that they would like to invite, friends of yours that invited you to their wedding, distance relatives that assumed they would always be invited to your wedding. I recommend to step back and think of your guests as a list of people you truly want to spend time with. People who when you walk down the aisle on your wedding day, you are excited to be surrounded by. I think of the guest list as group of people that I would be excited to invite to a dinner party and be in their company for hours. Once you have a good idea on your guest list and the number of people you want to invite, then you can start thinking of so many other factors for the day. Before researching venues and falling in love with a castle that is twice your budget or going dress shopping and trying on a dress that costs more then the band, sit down and create a budget. Budgeting is probably one of the least exciting things about planning a wedding, however it is the most important. Will your parents contribute or will it all come from the two of you. Will you need to save for a bit longer, then maybe you push the date back a little further then the original idea. There are a lot factors in your budget, so sit down and really research and think about how much it is you want to spend on the wedding day and ….then start planning! You have your budget set, guest list ready, so now get your date set, however, be ready with a couple dates, be flexible. It is good to have a few date options in your mind when looking for venues. If you fall in love with a venue that ticks all the boxes and your only date is not available, it is great to have other options. Now is the time to start browsing around online and in magazines. Websites like the UK based Coco Wedding Venues is a fabulous tool to research different areas and styles of venues. Blogs and magazines are also amazing places to get venue ideas by looking at features as well. Since you have already created a preliminary guest list and budget, you can more easily look at venue ideas that fit into those points. Look at the existing decor in the space. If you want to have a very pretty pastel coloured wedding, then a venue that has permanent red carpet and black chairs may not be the perfect fit. If you are looking for an industrial chic idea, an old castle may not the best place for you. Take your time researching venues online before you make an appointment to see the space. Your time is precious and you do not want to waste it by trekking out to a venue to arrive and realise NONE of the dates you want are available, the rooms are much smaller then you need for guests or you can not have access to the space until much later then you wanted the day to begin, along with a list of many other items, research, don’t rush it, take your time. Now is the time to look into hiring someone to help you. 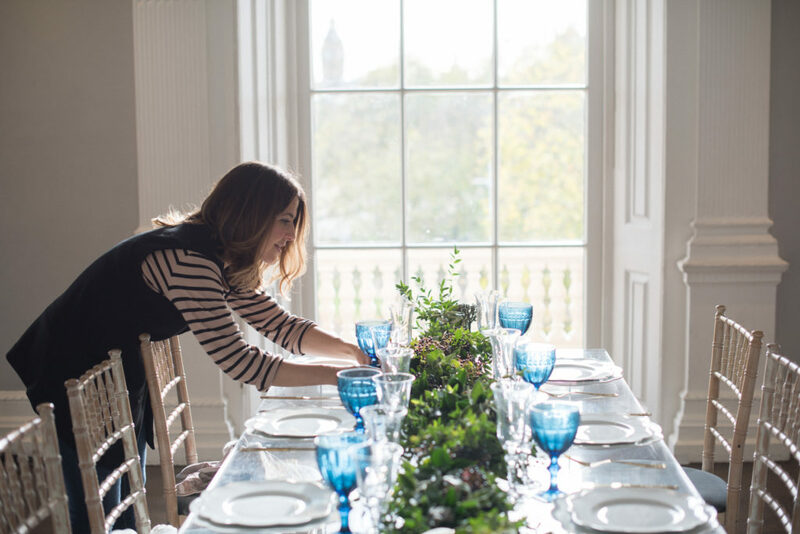 I am not not just saying it because, well, that is what I do as a London wedding planner, but truly, hiring a wedding planner is a great place to provide you with assistance throughout planning your wedding day. I have never worked with a couple that hasn’t said after their big day, they originally thought hiring a wedding planner was a little frivolous, but honestly, it ended up being the best thing they did throughout planning! 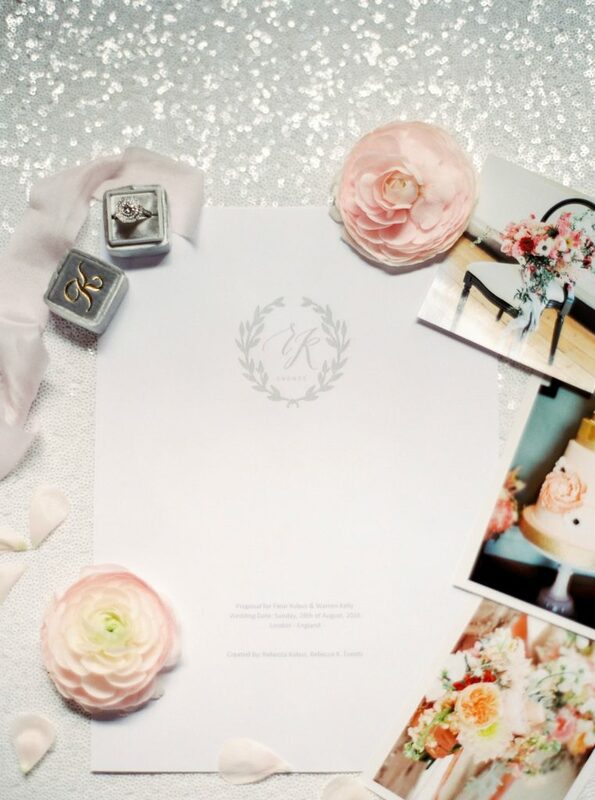 Wedding planners allow you to enjoy planning your wedding while taking a lot of the admin over for you. Planners have connections and a little black book full of many ideas and suppliers and it allows you to not have to spend hours googling around and interviewing multiple suppliers. There are so many reasons why it is a great thing, but that can be an entire other blog post! 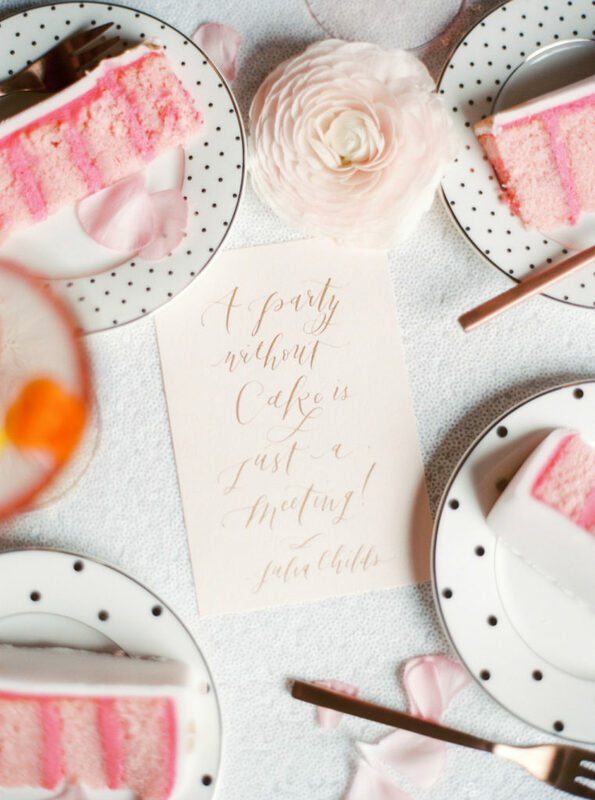 From full wedding planning, the weeks before or even a creative consultation and styling, there are multiple ways to work with wedding planners. If you have decided to hire a wedding planner or not, it is time to start researching and reserving suppliers. Cake designers, florists, caterers, photographers, hair and makeup artists, so many people help to make your wedding day an amazing day. Break out your Pinterest boards and start dreaming and planning your ideas and styles so when you contact suppliers you have ideas to share of what you are looking for and you can see if together you will make a great fit. Research their portfolio, prices, availability and make appointments with a few suppliers to see if you enjoy working with them, as that is super important. Posted in UncategorizedLeave a Comment on So You Are Getting Married!